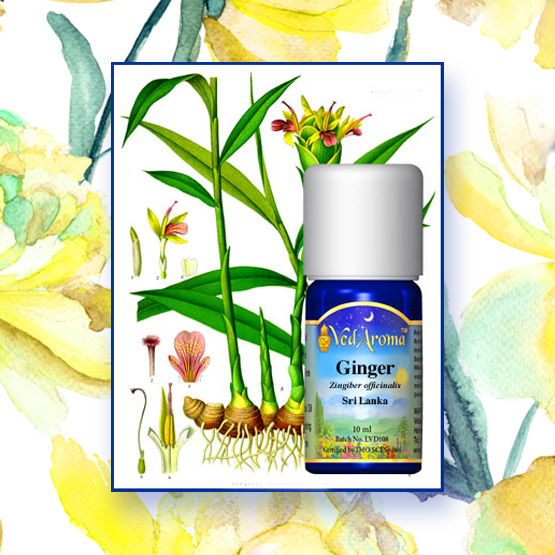 ‘Why and how is it so different in using, for example, Ginger essential oil, than just taking the root Ginger? A person might ask when recommended Ginger essential oil for his/her health:”Can I just EAT the fresh Ginger’? When one eats Ginger root or drink its juice, one derives its digestive benefits, whereas the essential oil has a very high concentration of the plant therapeutic molecules, so much so that when applied to the skin it has to be diluted with a carrier oil, and when taken internally with the advice of a certified consultant, only a drop or two are taken in a half tea spoon of honey. The highly concentrated EO’s penetrates the blood stream via the skin within twenty minutes, and faster yet, when inhaled, it instantly passes the brain barrier for immediate effect.